It was a feast of sorts the other afternoon, one which consisted of lovely Thai cuisine, and very nice Jasmine rice. We had an afternoon of yummy food, whipped up by the talented chef at Erawan Classic Thai & Fusion Restaurant, Kota Damansara, using Jasmine Sunwhite Fragrant Rice to pair with delectable Thai dishes. Rice is an integral part of our diet, and what better way to enjoy it than to have the best there is. Read on. 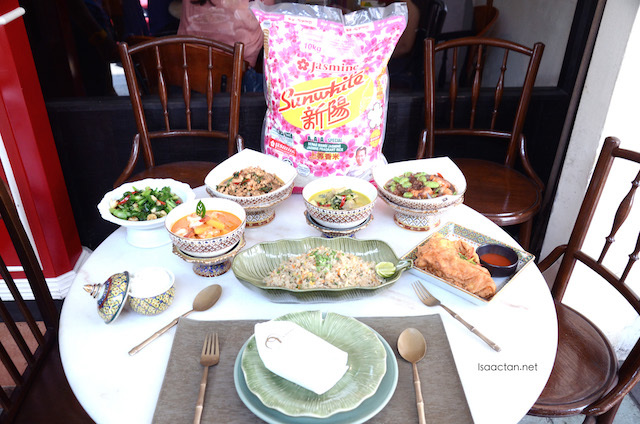 That afternoon, it was all about trying out the Thai dishes which are paired with 2 types of Jasmine rice, namely the Jasmine Sunwhite Fragrance Rice and the Jasmine Super 5 White Rice. 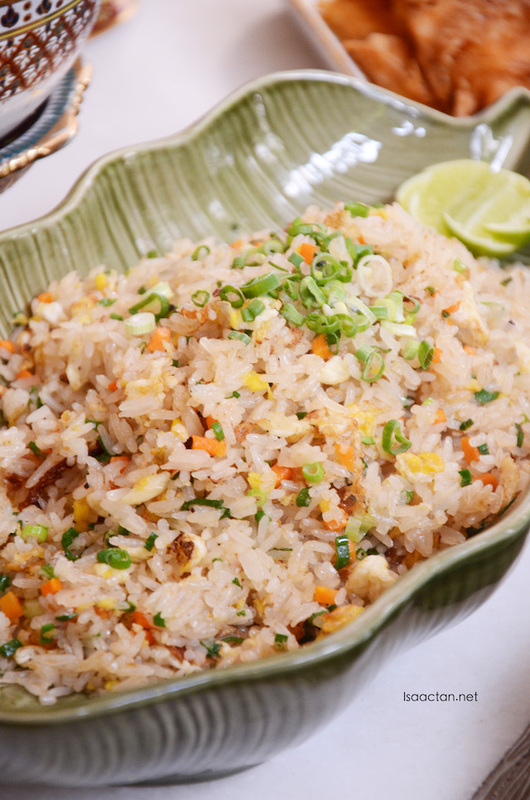 These rice were used in two separate Thai Plain Fried Rice dishes, for us to savour and enjoy. There were a whole lot of other Thai dishes too, but the highlights were the Jasmine Sunwhite Fragrance Rice used. 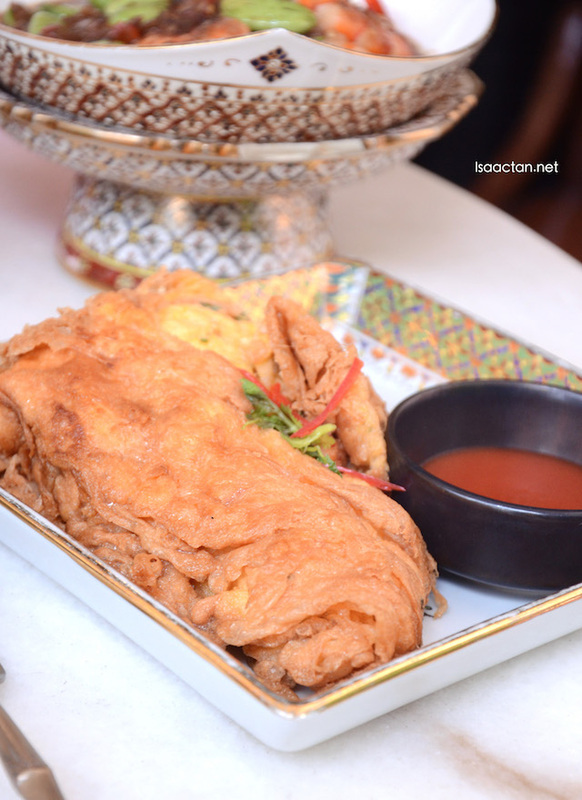 Before we go into trying out the fried rice and testing out the differences between the Jasmine Sunwhite Fragrance Rice and the Jasmine Super 5 White Rice, let's have a look at the other Thai dishes. We were served a total of eight dishes that evening, and the majority of them were really SPICY! Our meal started off with the delicious Green Curry Chicken and Tropical Fruit Curry, which came together with the Omelette with prawns. It wasn't too spicy, both the curries, tasting delicious when sipped which we truly enjoyed. More dishes to come below. When you're in a Thai restaurant, a fine dining one too, you must try their Tom Yam, which was exactly what we did that afternoon. 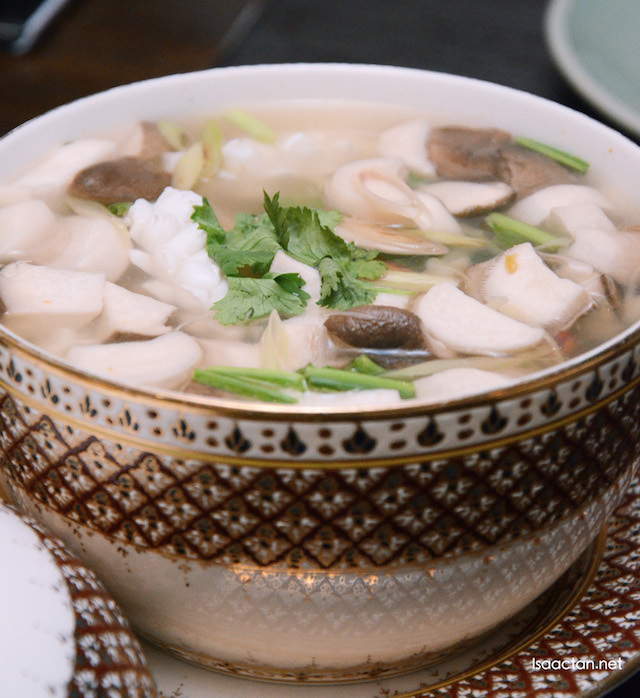 Erawan offers both the red and clear soup version. We tried the Tom Yam Seafood Clear Soup which looks mild on appearance, but is spicy when going down the throat. Love the natural sweetness of the seafood and also the aroma of the tom yam. Yum. 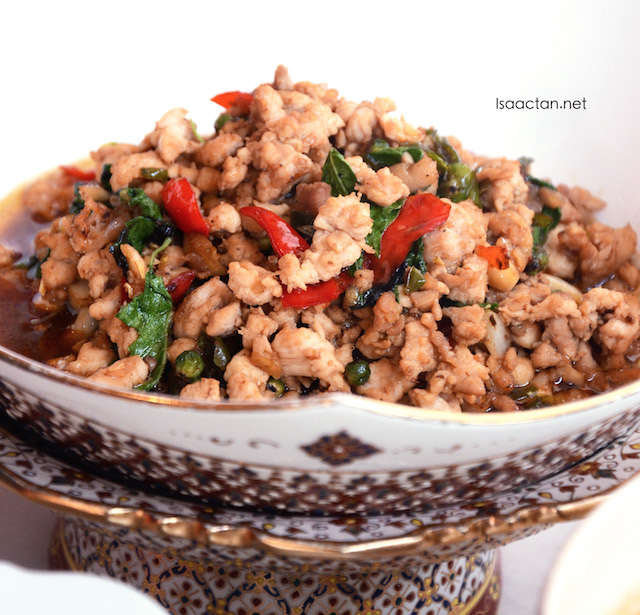 Another super spicy Thai dish came in the form of the Thai Basil Minced Chicken. The basil gave out a very strong a flavourful taste, but it did have those hidden cili padis which really gave a kick to our senses. Enjoyed it fully even though I was sweating from the spiciness. 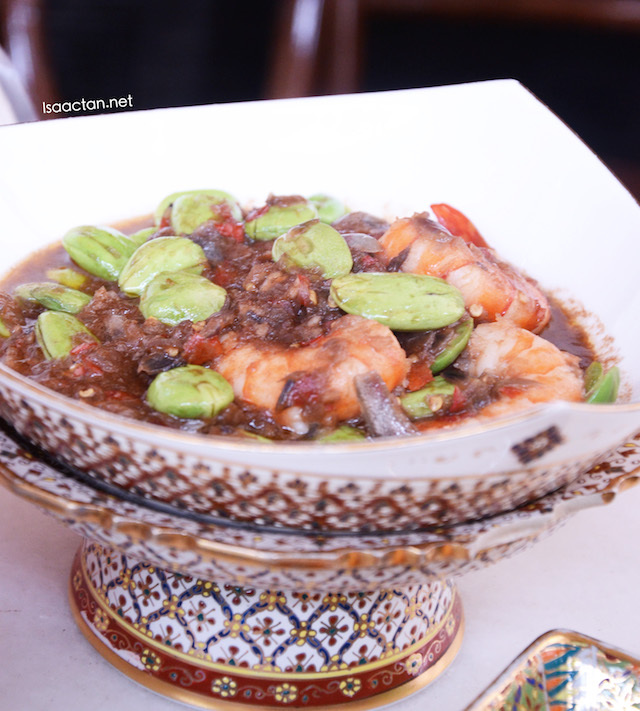 Next we tried Erawan's Spicy Prawns with Petai. I love my petais, especially when cooked with spicy chilli or sambal. Here they have the really big and juicy variant, with scrumptious prawns thrown into the mix. I love how the chef from Erawan Classic Thai & Fusion Restaurant prepared the very simple but extremely flavourful Plain Fried Rice. Don't let the name fool you, as I do not think it's plain at all! Using the Jasmine Sunwhite Fragrant Rice, I actually felt this dish is good to be eaten on its own. Not clumpy at all, we could taste the individual rice. First on the outside, fluffy on the inside, every bit of this rice dish was wiped clean off the plate. It did go well with the other Thai dishes that afternoon. 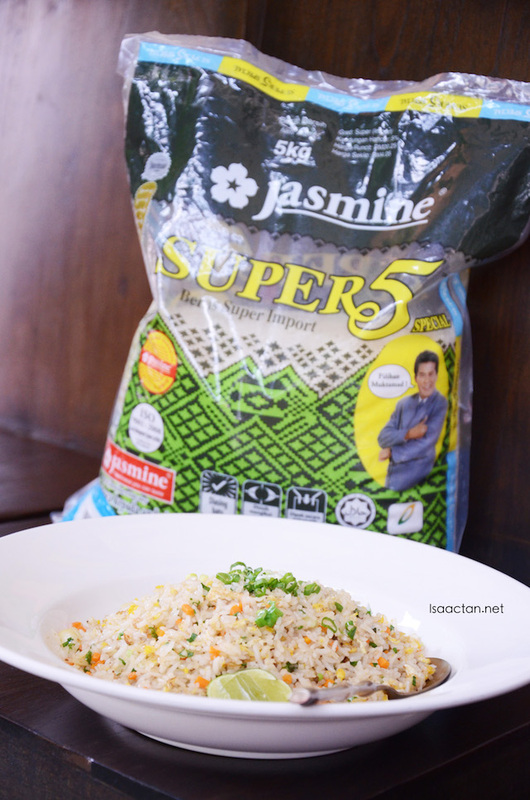 To show us the difference between the different Jasmin rice offerings, the chef whipped up another dish of Thai Plain Fried Rice using Jasmine Super 5 White Rice. Now this tasted really different from the one using Jasmine Sunwhite Fragrant Rice. It didn't have that uniqueness, making the fried rice seem rather normal. 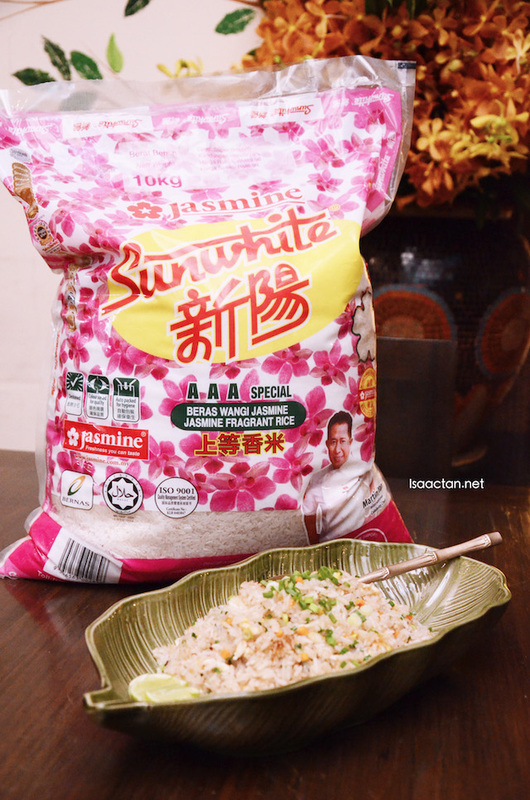 The texture of each individual rice is slightly harder and less fluffy compared to Jasmine Sunwhite Rice. Not bad though, but cannot be compared as taste-wise, Jasmine Sunwhite Rice wins by a mile. 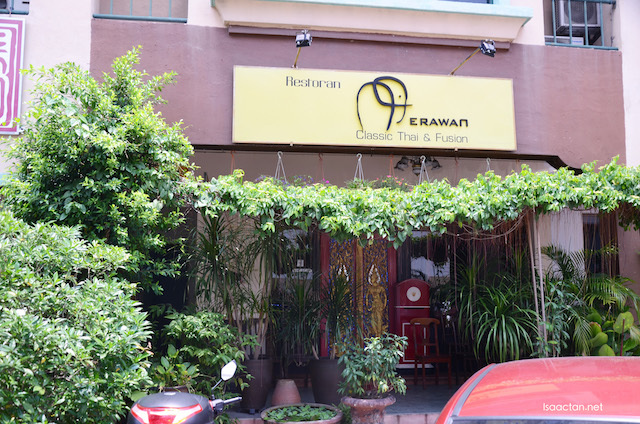 It was a delightful lunch enjoying the pleasures of having Jasmine Rice at Erawan Classic Thai & Fusion Restaurant. 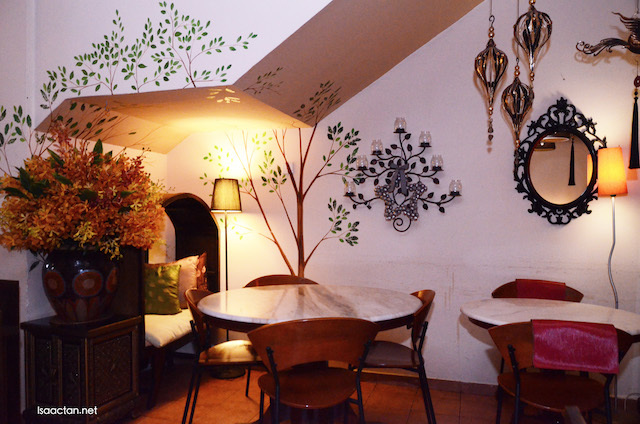 The restaurant itself has won so many accolades in recent times, and it shows in the quality of the dishes they serve. In conclusion, I do think the type of rice makes a lot of difference to the goodness and tastiness of our meal. Thai? I'm in, anytime! Lovely place. This is a good brand for rice. Oh Gosh I can imagine how it taste like...mouth watering la.. I have been wanting to go to Erawan for the longest time ever. Those petai looks so scrumptious. And I want to eat that green curry chicken! I love this Jasmine rice brand. They serve perfect rice and loving it alot! I miss Thai Food. Spicy and appetizing taste! Thai is all-time Favourite! Jasmine rice fragrance also I love. Jasmine rice always smell nice and the rice is soft if compare to other rice. 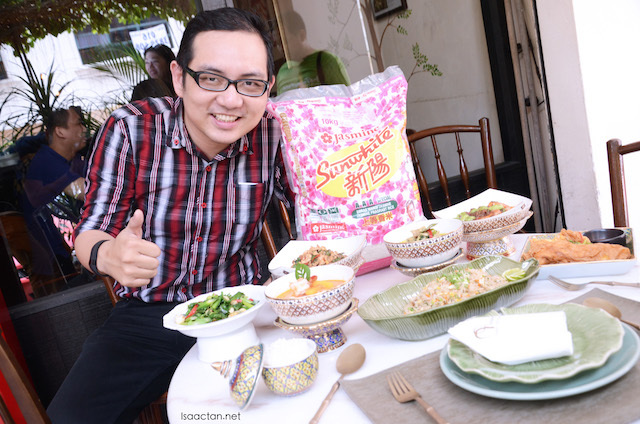 i have been consume Jasmine rice for more than 20 years and we still loyal to this brand. 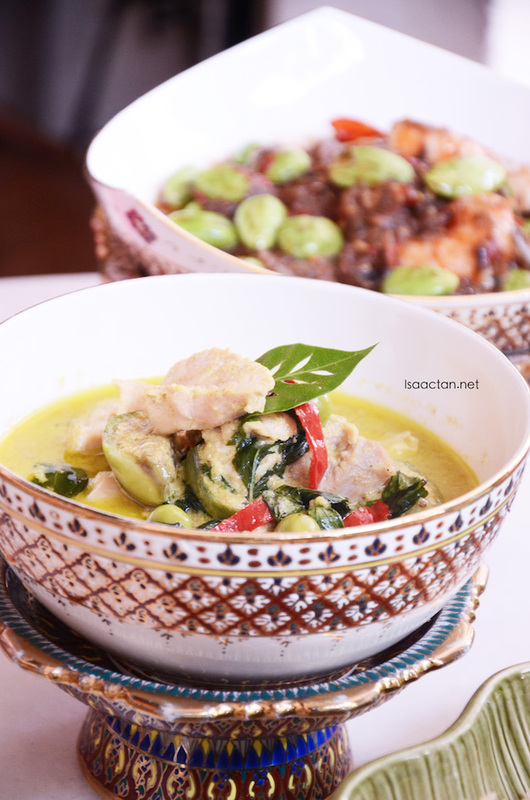 The Thai food look tempting and it look delicious when pair with Jasmine rice. I am in love with Thai food and this is a perfect combo to go with jasmine rice. waaa looks so good! I rarely go for thai food but really craving for some of the dishes you're having! If I can't get basmati rice, my immediate second option is definitely jasmine rice. Food looks amazing. Will definitely put that as part of my traveling itinerary if I'm up at Kota Damansara. I do use Jasmine rice once in awhile, its pretty good. 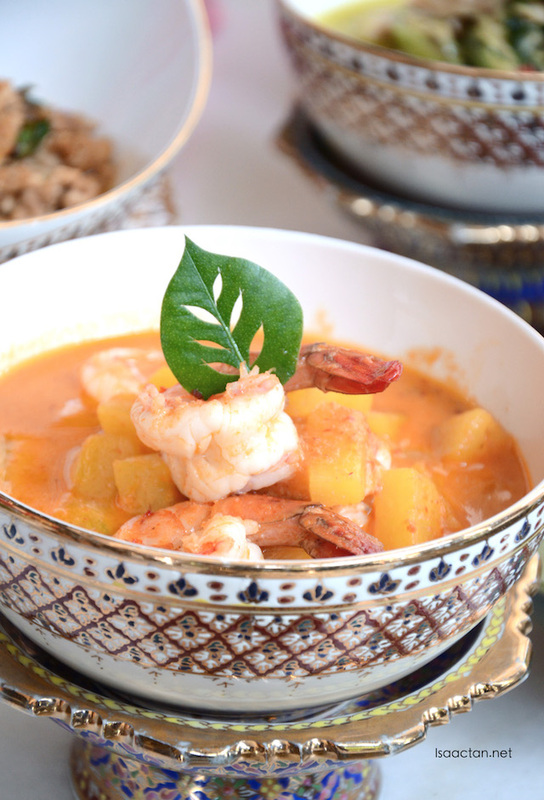 That tropical fruit curry looks delish! Tell me they have boat noodle.. Haha... Btw, Jasmine rice, my mum first choice! Isaac, omg your picturessss. The plating and serves looks absolutely awesome - loved how the presentation of them were done. Plus the food looks very tempting too so I am pretty sure that everything is absolutely delish!